Teachers are some of the most important members of our communities. With their passion, patience and dedication to improving peoples lives, teachers have what it takes to make a difference in peoples lives. It is no news however that even though we love and praise our teachers, teachers do not always get the credit, or the financial rewards that they deserve for the work that they do. To help make ends meat each month, teachers are often taking on more work and looking for summer jobs, second jobs, night jobs and sometimes even more than that just to keep up. This is no surprise that teachers are taking second jobs as teachers salaries have not risen to meet the everyday demands of raising a family in America. This wage disparity can put additional stress on the teacher and their families. The good news is that it does not have to be like this. Teachers are in a great position to join a network marketing company like Shaklee. Shaklee is, for many teachers out there, the best second job that they have ever had. 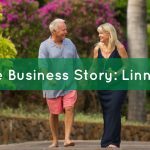 For some, their side business with Shaklee quickly replaced their teaching salary and they turned Shaklee into their new pursuit. Some even are working half the hours they used to work with their teaching business, by just having their Shaklee business as their main source of income. I even know teachers who build up their Shaklee business in the summer and it continues to earn them money throughout the rest of the year even if they are not “working” their business when school is in session. Some people may say, “Well I am not a Salesperson, this isn’t for me.”, but the truth is, neither am I. I am a teacher, and so are you. What we do in Shaklee is so much about teaching and sharing with others. What we share in Shaklee are ways that people can help improve their quality of life, by making healthier lifestyle choices for themselves and their family. We listen first to what peoples needs are and offer to share more information with them. If they are interested in what we have to offer, we help them get the right product that they need. That’s about it! The key is to lead from your heart and the rest falls into place. You know how to share information with people in a positive way. With Shaklee you share simple changes that people can make to live a healthier life or live the lifestyle they are looking for. Great organization skills. Owning your own business does require some administrative tasks and for most teachers this comes easily. If this is a piece you do struggle with, their is great training and resources available to support you. Teachers are mostly in the business they are in because the like to help people. You can also do this with your Shaklee business. When someone buys a Shaklee products, their lives can change, both physically and financially. It’s natural for teachers who care for other people. Teachers like the flexibility and freedom that their summers can provide them. With a Shaklee business, you are also free to work when you want to work, where you want to work. Goodbye Monday blues. Teachers have a strong community. All around the country their are nurturing supportive Shaklee communities. We get together for regional and global conferences where we get to share ideas and have some fun together, most of the times sitting by the pool. There are many social and local groups that get together and help support one another. What Makes Shaklee A Unique Second Job? Shaklee is a company with integrity and is built on years of trust. This company has been around for over 60 years and is growing fast. As more and more people are looking for green and natural products and supplementation, they are turning to Shaklee who has been creating green products before “green” was even a trend. Our founder, Dr.Forest Shaklee knew over a 100 years ago, when he created the first multi-vitamin, that a lot of what can be done to help heal our bodies comes from nature. Since his first product discover, we have continued to pioneer healthy product innovations and protect our environment at the same time. Dr. Shaklee was far ahead of his time in that he wanted to help prevent people from getting sick rather than just treating people who were sick. He did this by harnessing what nature has to offer. Our products have such a great reputation for their quality that they are trusted by Olympic athletes and NASA astronauts like Mark and Scott Kelly who even take their vitamins with them on space missions. This is because these people know that Shaklee means quality. Every new botanical ingredient that goes into our products undergoes 350 tests to look for any harmful contaminates, pesticides and other residues. This is more than 250 tests beyond what is required by the United States Pharmacopeia. Not only does Shaklee use only the purest natural ingredients in their products, but they also give back to our planet. Shaklee was the first company to be certified climate neutral in the United States in 2000 and has been ever since. They also helped to start a world wide movement to plant over 1 million trees. Shaklee also has their own non-profit that gives back to communities during natural disasters. Items like non-toxic cleaners, protein, water purifiers and the like are donated to families and communities in need. With safe cleaning products for peoples homes, to natural supplementation and vitamins as well as skincare and weight management products, Shaklee has something to offer everyone. Learn more about our products here. How Much Time Does This Second Job Take? The great thing is that is up to you! You can put in as little or as much time as you have and would like to dedicate to growing your business. You may decide to work your Shaklee job during the summer, or even during the school year. The way you grow a Shaklee business is through what we like to call, permission based marketing. You simply listen in to people around you to hear what needs they may have in their life, whether financial or health related, and offer to share with them something that could help improve their life. No pushy sales, or bombarding family and friends. You don’t even have to be a “sales person”. Just be yourself. Authenticity is key. People will naturally come into your life and be attracted to what you have to offer because they are attracted to who you are as a person. Each one of us has gifts to share others, and Shaklee can be one of those gifts as well. For those looking to grow quickly, training and support is available for you. You will be a part of a team, with me and many others. You will get your one on one support, group support and virtual support. The good news is, that you can still spend time home with your friends and family and still have a business. That is why, Shaklee is the best second jobs for teachers and a second job that you can do from home, on the playground, in the grocery store or at a PTA meeting. Even better, you can get paid in the future for work you already did. Even if you just work your business in the summer, it can still earn your money during the school year- this is what we call residual income. How to Turn Your 2nd Job Into Your 1st! It would be no surprise if you decide down the road you want to turn your Shaklee “job” into your first job. You can easily start replacing or surpassing your teachers income as you grown and learn with Shaklee. You can start to earn car payments, enjoy family trips, and receive recognitions and rewards. You won’t have to worry about taking time off as you will have the flexibility in your Shaklee career to do what you want, when you would like to do it. Want to avoid traffic and head out for that camping trip on Tuesday? Sure! Why not? My husband and I like to take advantage of skiing during the week when no one is on the road. We save hours in our trip from avoiding traffic and lines. Jeanine was a teacher, who wanted to start to focus on building better health for her and her family. What she found was that and so much more. Krystle shares how she had a healthy pregnancy with Shaklee supplementation and it then opened up a door for her to follow her dreams of being home to help raise her children. Here Krystle shares why she loves to share Shaklee with others. Ready to Start Your Shaklee Business? There are many three ways to get started. You choose which one feels right for you. If you are unsure, no problem, let’s set up a time to talk and figure out what best fits your needs. The three options are use, share and build. You can choose to use the products to see results for yourself, second you can share it and help others achieve results and along the way start to earn your products for free. Lastly you can choose to build your Shaklee business and get started with one of our distributors kits that comes with an amazing deal on products as well as additional benefits depending on the kit such as free conference registrations, a few monthly website payments and more. To get started, let’s connect and get you where you want to be! Welcome to the beginning of the best second job yet!